This has been the season for new releases from established artists that are just plain "meh." Coldplay's Viva La Vida bores me. 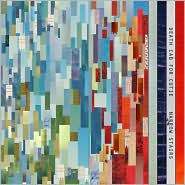 Aside from I Will Possess Your Heart so does the new Death Cab For Cutie. And Weezer's latest is truly awful. I've replaced Coldplay with the newish UK band, ROYWORLD. They're fantastic! Spencer, I found your blog via your status update on facebook. Nice work. I'm going to add you to my blogroll if that's ok. I have to somewhat agree with you on your analysis of the new Death Cab album. But I really like the album and would give it at least 3 stars. I listen to it and the songs are so different from one another that it seems like the album was made by 3 or 4 different bands. My wife and I do love "twin sized bed." I'm a sucker for sappy clever songs like that. ps. Coming hopefully soon to youtube and my blog - "Rashed's Neighborhood" (if that's ok with you). Stay tuned!